This is a Frieze. It was manufactured by W. Campbell & Co.. It is dated 1905–1915 and we acquired it in 1979. Its medium is machine-printed paper. It is a part of the Wallcoverings department. Printed in top selvedge: Wm. 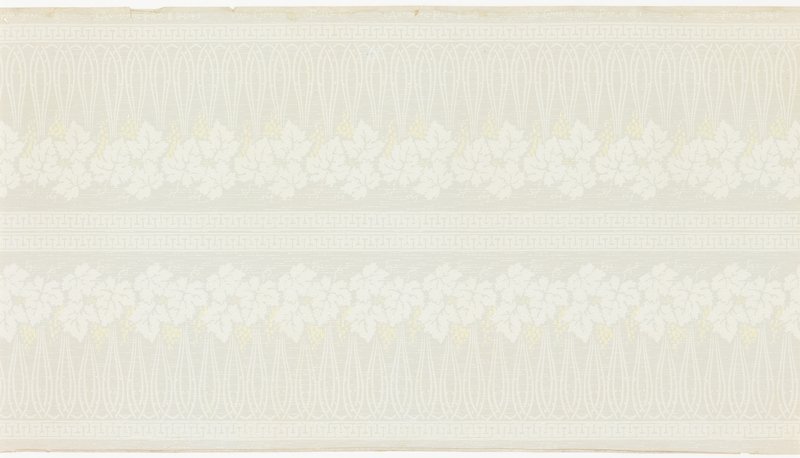 Campbell Wall Paper Co. / Antiseptic Pat'd 8 9 04.